A couple years ago Kaylann started a swap (Angel Card Swap) on here where people would submit names and you would send cards to the names submitted. Well I thought I would try something similar but different. See I have a ton of people I think of in my life that could use a card but then life gets in the way and the cards never get sent. So this challenge is to help with that. We will post cards here so everyone can be inspired! Happy Events - wedding, graduations, new baby, etc. P.S. 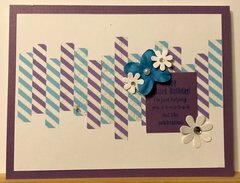 - if you have a situation where you would like others to also mail a card to someone you can post that information and ask if anyone would like to PM you for the address. You can sign up at any time through out the month but the card MUST BE MAILED BY THE LAST DAY OF THE MONTH, March 31, 2018! Edited by Scrap-Time on 03-27-19 08:42 PM. Reason for edit: No reason given. Edited by Scrap-Time on 03-27-19 08:41 PM. Reason for edit: No reason given. 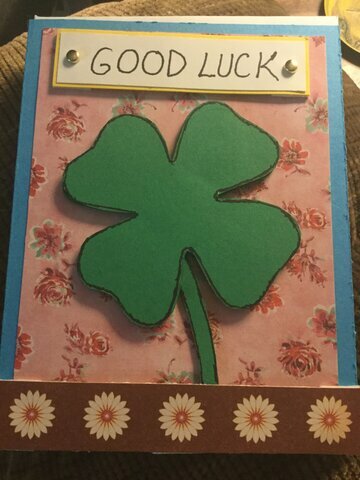 Maggie's Nana (Marylou) has given us the okay to start sending cards to her Like-a-granddaughter, Jessica, who was diagnosed with stage 3 Breast Cancer. Jessica starts Chemo the week of September 23, 2018. Jessica is married and 2 boys. Just want to give you all an update on Jessica. The doctors stopped her chemo treatments because she was getting neuropathy in her hands & feet. She will be having a double mastectomy starting January 18th. They are doing it in two stages. Please keep her in your prayers & thank you again for sending her cards. She does appreciate them & her mom is so grateful as well. 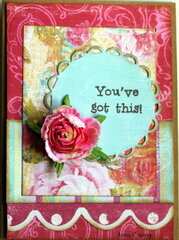 Just cards of encouragement to lift her spirits, thank you!! Someone in the doctor's office cancelled her surgery so when they met with the surgeon he changed things. Her surgery is February 19th & they will do the double mastectomy all in one surgery removing lymph nodes. They will take her abdominal fat for reconstruction. She will be in ICU for 3 days & 7 days in hospital before she goes home. The surgery will take 12-14 hours. She needs lots of prayer as well as her family. I have made up a schedule where 1 person will sign up for a 2 week time period. 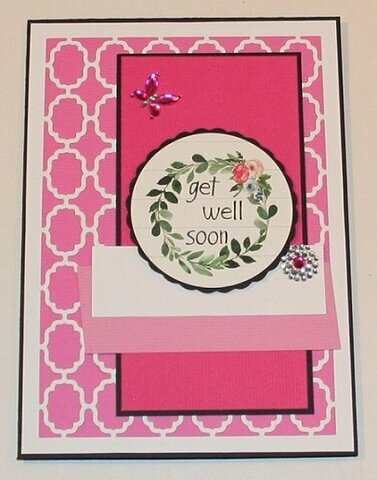 Any time during those 2 weeks please mail Jessica a card (Thinking of you, encouragement, etc). Once you sign up I will PM you her address. This schedule will posted at the beginning of each month and you can sign up for any open spots at any time. Edited by Scrap-Time on 03-14-19 04:00 PM. Reason for edit: No reason given. March is finally up. Sorry it took a couple extra days. Work did not cooperate on Friday and I didn't get off till 8:15 am (5 hours after shift)! Then Saturday I got really sick in a weird way and not sure what is going on so might have to call doctor tomorrow. DH almost took me to hospital but I convinced him to wait. So today been in bed all day and got a migraine on top of other issues. So it has been a weekend! So finally was able to sit at computer a few minutes! Thanks Ro! Hope you feel better too! Being sick no matter what the illness is no fun at all! Oh Kathy, sorry to hear about you being sick. Not fun at all being sick and with a migraine even worse. I think that is it but its only the 3rd day of the month so we will see. 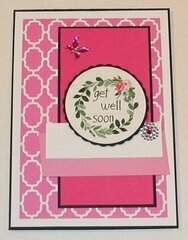 Hope you feel better soon Kathy! Sorry to hear that you are not feeling well. Get well soon Kathy and Ro. Kathy and Ro, I hope you both are feeling better today. 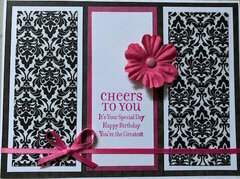 I will take the week of 3/2419 to send Jessica a card. 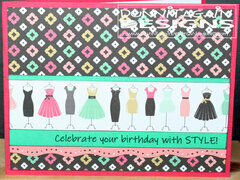 I have a couple of birthday cards to mail out. The sick thing seems to be going around. I hope you, Kathy and Ro, feel better soon. 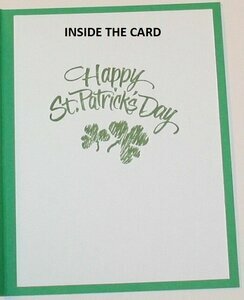 I am in for a birthday card for my SIL and 4 St Patrick's Day cards. Kathy & RO you both need to get well! Yes, lots of nasty stuff going around. Spring will be here soon!! Maybe the day, but not sure about all this rain & snow, crazy! Thank you again for sending cards to Jessica!! I might have a few to do for March so count me in! Well I called the doctor to make sure an 8 hour episode of acid re-flux is okay to have and not something more serious. I have never had it that long. Usually last a few min then goes away. He said yes it can happen so he wasn't too worried unless continues and have a lot. But I still don't feel 100% and still can't eat much. Migraine is gone so far today so that is good. Thanks for the well wishes and prayers. 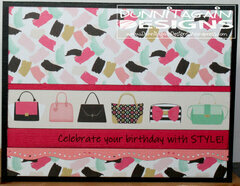 Here is my first - birthday card for my aunt. Sent it off today. Edited by Scrapanda on 03-04-19 06:50 PM. Reason for edit: No reason given. I hope youre feeling much better Kathy. Okay I need to add to my list. 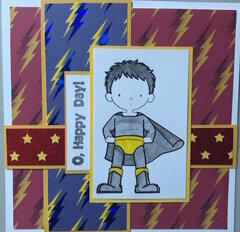 I need to add another birthday card - ds was invited to another bday party for a little boy in his class. I hope youre all having a good week. I got the list updated on the first page. 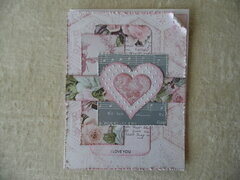 I got cards posted on first page too and love given! 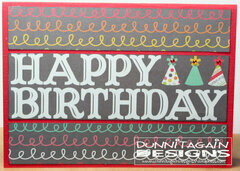 Edited by Scrap-Time on 03-07-19 11:46 AM. Reason for edit: No reason given. I found this and thought I would throw it out there to the Happy Mail Challenge. We will do it the month of March.....so if you do a RAK for blue post it and tell us about it. If you make something or take a photo, show it. Or just tell us the story of your RAK. Any RAK (doesn't have to be listed on poster) just be creative to show them an act of kindness! 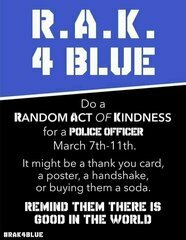 Would love to spread a little kindness in this world.... especially to the brothers and sisters in blue that need encouragement now more than ever. Edited by Scrap-Time on 03-09-19 10:06 PM. Reason for edit: No reason given. 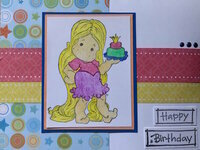 This is a card I mailed out to lady in another forum here that had a March 1 birthday. Here is my card for Jessica that I will mail soon. Found out my aunt that had her birthday yesterday that I had mailed her card out to broke her wrist yesterday - on her birthday! 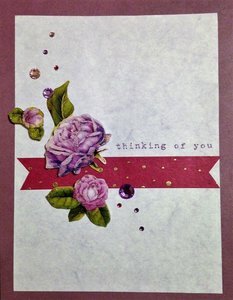 So I am added a thinking of you/get well card to my list as well. Oh Amanda that doesn't not sound like a good birthday for her at all. Glad you will send her some happy mail...maybe that will help a little. I hope so! 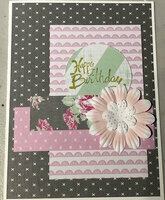 She loves handmade cards so was very pleased with her birthday one. 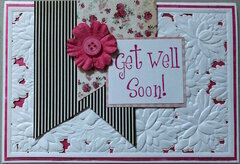 She used to make cards too but the last few years her arthritis in her hands has gotten worse and she is unable to do it for more than a few minutes at a time without pain so she has stopped. She asked me if I would like all of her supplies which is so nice of her! She lives 3 hours away so she said the next time I am in her city to stop in and she will have it ready for me. So sorry about your aunt but what a nice gift to you! Going to her city any time soon? I have to go there for work at the end of the month but it will just be a day trip and I will likely be carpooling with another manager from another physio clinic so likely won't get to stop by then - hopefully sometime in April or May! I am still here, just been so busy. Had a wonderful weekend with 3 ladies from House of Promise. They are such a blessing to me! I mailed out the 4 St Patrick's Day cards yesterday. Love the cards RO! You all are so busy, I just need to find some time to post! I know there are some of you that know Linda (scrapperb2). She just has elbow surgery & her health is not good. Her only outlet is the computer & sb.com. She is really down right now. If any of you would like to send her a card that would be so awesome & I know she would love it. If you do not have her address pm me & I will give it to you. Now I got a nasty head/chest cold! Geez if it isn't one thing it's another. Thought I was going to cough up a lung last night and they said I sounded horrible so I stayed home to rest tonight. Hopefully that will be enough to get me over this. Nope didn't get better. Got worse. Went to doctor and I have bronchitis. She ordered a test for the acid reflux issue I had a couple weeks ago. Good grief! I have updated the front. If I missed you finishing a card please let me know. There is a chance as I had a couple coughing spells while doing so. Edited by Anna C on 03-15-19 02:33 AM. Reason for edit: No reason given. well I can breathe a little better. I can walk in another room without resting. Still suppose to be doing nothing....which for the most part I'm being good. Had to do some laundry though. 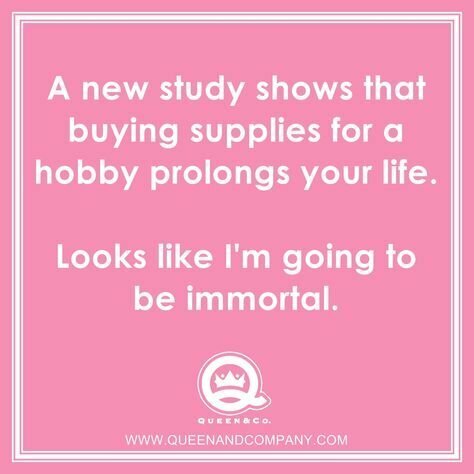 And since I'm sitting here on the computer wondering I will probably end up buying stuff that I shouldn't!! 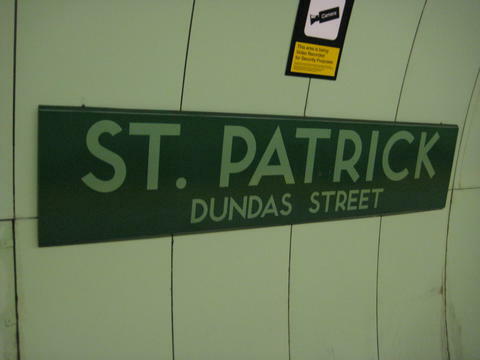 This photo was taken at a subway station here in Toronto. 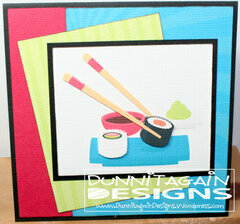 Edited by scrapbookmonster on 03-17-19 01:41 PM. Reason for edit: No reason given. 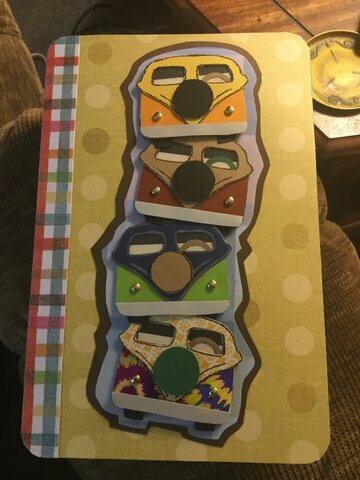 This is a card for a church member that I barely know. This lady is somewhat mentally challenged. She seriously burned her poor little face. Please, mention Jenny in your prayers. Thanks! 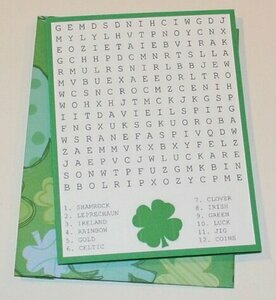 I finished making and handing out my St Patrick’s Day cards. Here is a card I made for a coworker. No theme to it, just a “Hello” card. Ohh, that is too funny! Not sure how my husband would feel about that, but I love it! I have been re-organizing and cleaning my room since Sunday night and I'm still not done!! Seriously non-stop of 3 1/2 days. So I'm never going to die!! I have done a lot but still not any where never "picture ready"! and I sent my other aunt as well just don't remember what one I sent her. 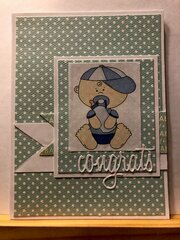 Wont be doing the last congrats baby card. So I am done for the month. 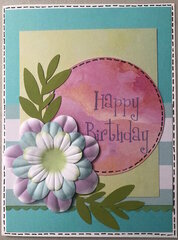 Just stuck my last card in the mail, a birthday card for my sil. 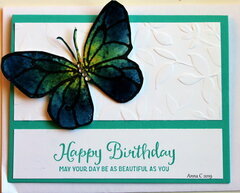 1st of several cards to be sent out this week. Last one for bdays this week. Actually sent out cards!! Hope to post them tomorrow. Kathy, good luck on getting your room organized. 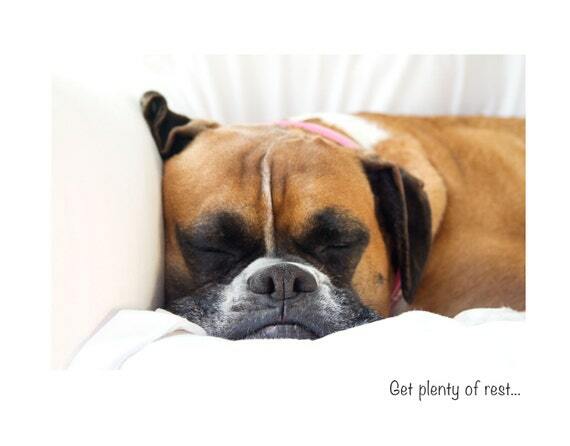 I need to do the same thing. Jessica's card is being mailed today. I posted it earlier in the month after I made it. 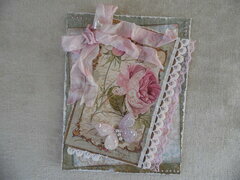 My card for Linda is going out today also. I took a photo of it this morning but didn't have to get it uploaded. Will get it on here tonight or tomorrow. Very late sending my nieces their birthday cards but her is one of them. (the purse one is just an extra one I made using up paper). The other one went in mail but haven't uploaded it on here yet. I stated yesterday that I would post Linda's card....but I better wait until she gets it because she follows me on here and I don't want her to see it before she gets it. I want have anything else this month. Trying to figure what cards I need for April. 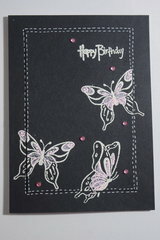 I know I will one birthday card. I have a crop a dile that I have never used, It is still in the original package. Would anyone here be interested in it? Here is a link to what it looks like (as seen on amazon). Here is the one I made my friend - late birthday. first page and love caught up. this is the card I sent to my other niece. I found an older duck card when I was cleaning my room.Where I had glittered up the duck but I can't find a photo. It made me think of him splashing in a puddle so I sent it to my friend in KC, MO as a "Happy Spring" card. 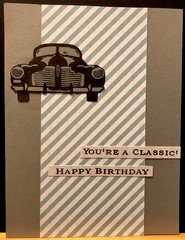 Here is a card I made. 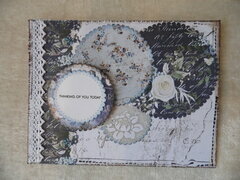 Used scraps from baby album to make and send card for another momma to be. Won't be able to make it to the shower. Wow! Can you all believe its the end of March?! I totally forgot about putting up a new challenge!! Good grief!! Well now it won't let me start a challenge. The seconds for waiting to make another post is all wacked out.